Need Insurance Coverage for Your Wrecker Business? 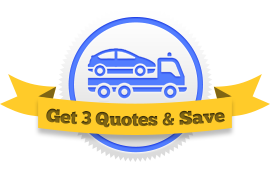 Get 3 Quotes Now! To get the best wrecker insurance coverage for your towing company, you must review several options. This can be a difficult process. You have to find an agent, call him up, give him all your information, wait for him to add everything up, and then finally have him offer you coverage that might not even be right for your business. There’s a better way. Let us send your business information to three different agents simultaneously. It’s all done online and away from you, so there’s no waiting on the phone. The three agents will get back to you with seperate quotes and you can choose the one that works best for you. Plus it’s free for you to use, so get started now. Different agencies will offer you different coverage options. It’s important to know which wrecker coverage your business needs. Below we’ve listed the main types of insurance you’ll be offered. For more information, visit our Towing 101 Knowledge Database. Property Damage – This covers damage done to other vehicles and physical property like roadsigns. Bodily Injury – This covers damage done that results in injury or death to other motorists or pedestrians. Collision Coverage – This covers damage done in roadside accidents. It’s the most common type of coverage. Comprehensive Coverage – This covers additional types of damage like those resulting from theft, fire, weather, or animal related accidents. Garagekeepers Legal Liability – This covers your customers’ vehicles while they’re being stored in your garage or on your property. Without this coverage, you’re legally liable if the customer finds damage on his or her vehicle after it’s returned to them. On-Hook Towing Insurance – This covers your customers’ vehicles when they’re attached to your wrecker. This coverage is a very good idea, since this is when damage to customer vehicles often occurs. Cargo Insurance – This protects the contents of others’ vehicles while under your care. So if goods get stolen out of a customer’s car, you won’t have a lawsuit on your hands. Medical Payments Insurance – This covers any injury that a driver or customer sustains while riding in one of your wreckers. Workers’ Compensation Insurance – This covers any injury that one of your workers recieves while on the job, regardless of whether they’re driving or not. This insurance is legally required. Liability Umbrella – This covers huge accidents that result in damage exceeding your liability limits. To find the best, most affordable coverage, simply fill out our Request 3 Quotes form found here. For free we will connect you with three different agents, they’ll compete for your business, and you select the winning policy. Get started now!